Actually going to buy JDM Repliace V2 Foggies. I'm thinking about just putting in yellow bulbs because I want the light output to be yellow, the yellower the better. I don't want to HID it either, do you think i would be able to achieve the bright yellow with just the bulbs? Also what bulbs do you suggest for me to get this going? 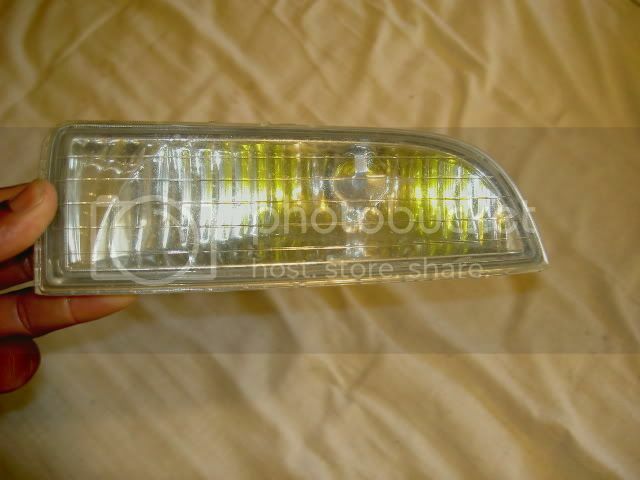 Does anyone have any pictures of clear foggies with just yellow bulbs , I just want to see the output of yellow on it. ** Also , Someone said they recommended Nokya Hyper Yellow bulbs, and I just noticed on Ebay that there about $20 and also it says the bulbs are 70watts, can the replicas handle that? Last edited by 99lude; 09-07-2010 at 02:32 AM. Re: Actually going to buy JDM Repliace V2 Foggies. how much do you charge to install capsules? also are those fogs with HIDS? Last edited by 99lude; 09-07-2010 at 09:19 PM. i bought my nokyas for 18 shipped on ebay. do you have clear replicas too? hows the output like? pics?